Best Seller Publishing announces the release of David Karchere’s new book, “Becoming a Sun: Emotional & Spiritual Intelligence for a Happy, Fulfilling Life.” It will be available for free download in the Amazon Kindle Store on February 11th. “Becoming a Sun” is a portrayal of the human journey. It shares essential emotional intelligence and spiritual wisdom that assists a person on their path. 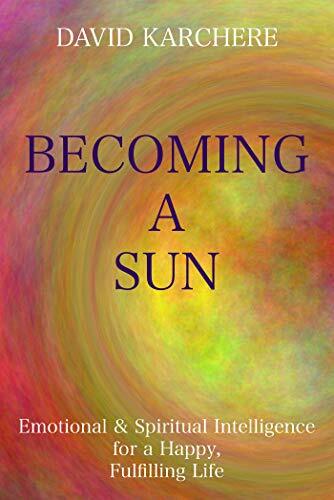 “Becoming a Sun” by David Karchere will be free and available for download on Amazon for 5 days (02/11/2019 – 02/15/2019) at: https://www.amazon.com/dp/B07LC48VLS. “The author does a really good job in this book delivering profound spiritual truths in simple terms. He takes you on a journey through the human experience, the process of creation and our relationship to a higher power. It is very engaging and insightful. Kind of like an operator’s guide for being human. “The weaving of stories, poetry and teachings helped the concepts to truly land and become real in my own experience. I can feel my own inner sun starting to rise and a brighter day is dawning. I love feeling more empowered from within after reading the different chapters in this book.” – Gary G.
“As a primary care physician, I see how I and so many of my patients struggle with external stresses to stay optimistic, to nurture loved ones and ourselves, and then are brought low by debilitating self-criticism. As a citizen, increasingly of the world, rather than the nation state, I see how our species tends to see the planet in terms of scarcity instead of plenitude and we compete for resources rather than stewarding the planet. “Becoming A Sun” invites us to perceive ourselves as Suns, sharing our warmth and light with those we love, in our workplace, our communities and the world. David, the author, describes in lucid, eloquent language the paths and metaphors which have become his personal journey of discovery. The book built on years of teaching workshops and refinement of his ideas, is a guidebook for the rest of us. It is very readable and clear with personal anecdotes to illustrate many of his points. I think we are at a critical juncture in the world’s history where David’s invitation to understand and transcend our fears and to lead out of love rather than competition will help build the scaffolding for movements and policies to cherish ourselves and the planet.” – Kevin V.